Kris Jenner Changing Last Name Back to Kardashian? Say goodbye to Kris Jenner! In this deleted scene from Keeping Up With the Kardashians, Kris drops a major surprise on daughter Khloe Kardashian. While riding in the car together, Khloe asks her mom who she calls to get reservations at their favorite Mexican restaurant. "I call the manager usually and I say, ‘Hey! It's Kris Kardashian,'" Kris said in the video. "Your name isn't Kris Kardashian," Khloe responds. 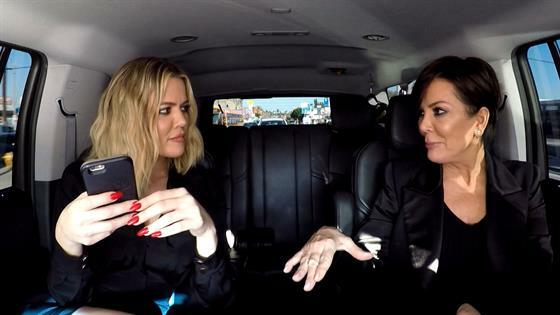 "I'm going to change my name back to Kardashian," Kris says before a shocked Khloe replies, "Why? You haven't been that in over 24 years." "I was that before you were that," Kris explains. "I was the original Kardashian." "I don't care if you were that, that's bizarre," Khloe says. "Why don't you go back to your maiden name?" "It just doesn't sound right," Kris continues. "Keep Kris Jenner," Khloe insists. "Don't you think that's insulting to your two daughters?" Kris responds, "If Bruce can change his name to Caitlyn, I think I'm good." Watch the clip above to see what else Kris has to tell Khloe!